Donate – Protect Water for Future Generations. Our goal is to prevent destructive mining in the Black Hills region and protect our valuable resources – especially our water – for future generations. All donations are greatly appreciate. 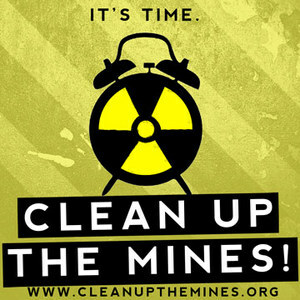 Your contribution will help us take action to spread the word about destructive mining in the Black Hills. You may also help by purchasing one of the following items. They make great gifts. New HeSapa-Map-Poster-2018- Campaign Posters $5.00 ea. Tee-shirts are $20.00 each (plus $5 shipping and handling) and come in sizes of SM – MED – LG – XLG. Sorry, but we are currently out of the No Water No Life Tee-shirt. However, if we get future orders for 12 or more, we will reorder. Please Contact Us to to check for availability and how to order.